Zayn Malik recently unveiled the album cover for his highly-anticipated solo debut, Mind of Mine. 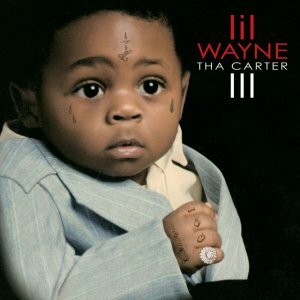 And while some fans have spent the past 36 hours basking in the glow of further Zayn developments, a number of others have called foul on the whole thing, noting the cover’s close resemblance to Lil Wayne’s 2008 album Tha Carter III. But don’t worry, Zayn knows exactly what’s going on. He needs everyone to relax, because he’s not trying to be a rapper (?? ), and also he's been thinking about his album cover for a long time now so it's not plagiarism -- at least, that's how he responded to the criticism on Twitter. Is Zayn commenting on the fact that few ideas are original anymore? What about the fine line artists often walk between plagiarism and homage? Is Zayn equal parts vocal acrobat and performance artist? Of course, the issue here isn't that Zayn's cover uses a baby photo, it's the striking similarity between his and Lil Wayne's: The tattoos, the reverent pose -- it's undeniable.